Porsche has upgraded the Cayenne for the 2019 model year to give us a greater emphasis on luxury and exclusivity in the marketplace. This SUV now has a more refined feeling on the road and brings you the technology that’s modern and advanced to give you the greatest drive. Check out the pricing offered for this SUV that you can enjoy in Gretna, LA when you want one of the most impressive SUV models to be the one that you use to carry you and your family wherever you need to go. 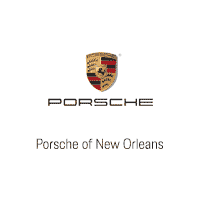 If you’re in love with what Porsche stands for in the automotive market, you need to see the team at Porsche of New Orleans today. This team can offer you the Porsche Cayenne that you want to drive and enjoy every day. This is an SUV that will be driven more and shown off to the people you see wherever you want to go. You’ll have the incredible power and performance offered by Porsche in an SUV that makes driving more joyful and elegant for you on a daily basis. What did Porsche do to the Cayenne? Many of the new vehicles we see on the market today are making use of lighter materials to allow the power to be more useful when we drive. The 2019 Porsche Cayenne is all-new this year and benefits from extensive use of aluminum in the construction. This SUV also has a brand new 3.0-liter turbocharged V6 engine under the hood to give you the power you want when you drive. The pricing offered for this SUV will make this performance SUV a value model for you to have the drive you want to enjoy on the roads in Gretna, LA. When you get behind the wheel of a vehicle, you want the ride and the technology to impress you. The Porsche Cayenne has active suspension management to make sure you can enjoy an amazing ride quality and enjoy the benefits of enhanced traction and cornering abilities. Inside the cabin, you’ll find a 12.3-inch touchscreen that offers you the right place to control the infotainment you’ll have when you take this SUV for a drive. Connect to this system and feel the quality of the drive in this Porsche SUV today. Make the right choice and visit the team at Porsche of New Orleans today. As a member of the Ray Brandt Auto Group, you’re going to find the value you’re looking for when you review the Porsche Cayenne pricing offered. Choose the trim level that’s right for you and start driving your new SUV on the roads near Gretna, LA today. This is the right dealership for you to have the quality drive you’re looking for when you head out on the road. Stop by and let this team make driving better for you today.